The Lincoln Family Medicine Residency Program has partnerships with these exceptional healthcare organizations. From our residency's origins in the early 1970s, we have enjoyed a strong, collaborative relationship with the University of Nebraska Medical Center. UNMC is Nebraska's only public academic health science center. Working with them, Lincoln Medical Education Partnership has grown its residency from classes of six residents handling approximately 21,000 patient visits annually to its current class size of eight residents providing 30,000 annual patient visits. Today, more than 3,000 students attend UNMC. Nearly half of Nebraska's physicians, dental professionals, pharmacists, bachelor-prepared nurses and allied health professionals have graduated from UNMC. UNMC is recognized nationally and internationally as a leader in patient care, research and education and holds accreditation from the North Central Association of Colleges and Schools. Its mission-to improve thehealth of Nebraska through premier educational programs, innovative research, the highest quality patient care and outreach to underserved populations-meshes well with the goals of Lincoln Medical Education Partnership. The reciprocal support Lincoln Family Medicine Program and UNMC demonstrate toward one another is a long-standing tradition. In 1976, UNMC assisted Lincoln Medical Education Partnership in obtaining legislative support for our residency program, which remains in place today. LMEP maintains an open relationship with UNMC Chancellor Dr. Jeffrey Gould. This mutually supportive approach contributes to our success in training family medicine physicians to provide the finest health care for citizens throughout the state and Great Plains. CHI Health St. Elizabeth, founded by the Sisters of St. Francis of Perpetual Adoration in 1889, is a full-service, 260-bed, nonprofit regional medical center. St. Elizabeth guided by core values of reverence, integrity, compassion and excellence to programs and services that benefit patients as well as the health of the greater community. Saint Elizabeth is part of Catholic Health Initiatives (CHI). For more information, visit www.catholichealthinit.org. Saint Elizabeth specializes in the treatment areas of newborn and pediatric care, women’s health, burn and wound, cardiology, oncology, emergency medicine, orthopaedics and neuroscience. 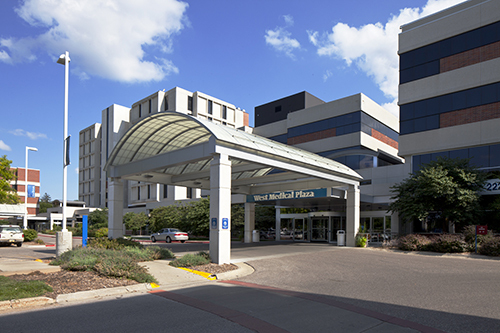 Saint Elizabeth Regional Medical Center has held the prestigious designation as a Magnet hospital since 2004. Bryan Health is a Nebraska governed, nonprofit health system that cares for patients, educates tomorrow’s health care providers, motivates the community with fitness and health programs, and collaborates to continually improve how it serves others. Bryan's award-winning network of doctors, hospitals and medical providers ensures the highest quality of care and the most advanced, effective treatments for patients throughout the region. Through statewide networks, Bryan brings care and treatment directly to rural communities through sophisticated mobile diagnostic and treatment services, telemedicine services, specialized heart care clinics, telehealth mental health counseling and more. With more than 4,000 highly trained staff members, Bryan takes its commitment to provide the best care, the best education, the best wellness and recovery services, and the best work environment seriously.